As promised yesterday, I have compiled a list of fabulous looking books that are coming out this New Year! I'm psyched about them, and will do my best to try to read and review every book listed here. 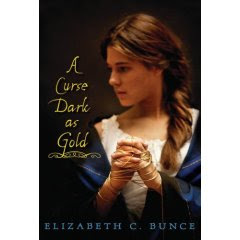 Ann Rinaldi's historical novels are famous for their accuracy and for being engaging. 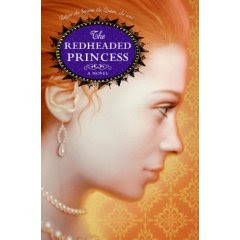 Recently she's branched out from American history, and into Britain in Nine Days A Queen and The Redheaded Princess, which is sure to be a hit. A fairy tale re-telling of Rumpelstiltskin! I haven't read once since Donna Jo Napoli's Spinner. If the cover is any indication, it's bound to be good! 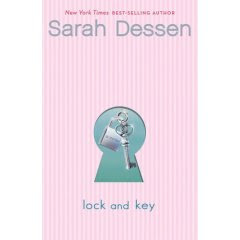 Though I have only just started getting into Dessen's books, I think I am as excited about this one as any long time reader of hers. Her entrancing and thought provoking style could make a fan out of anyone. 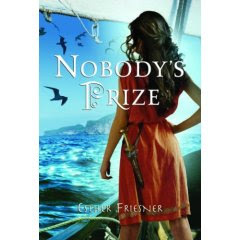 Though I have not read Nobody's Prize's prequel, Nobody's Princess, it is on my to read list, and the sequel looks as excellent as the first one. I am definitely going to make time to read them both. Ah, yet another novel from the fabulously talented Maureen Johnson. Her first book set in New York City--at an Art Deco hotel, no less! This will be the start to what I believe will be a very entertaining and humorous series. I have had the opportunity to read this one already, and it is delightful! Click here for my review. Though the summary on this one is vague at best, I cannot wait to read it. The less information, the greater my curiosity! 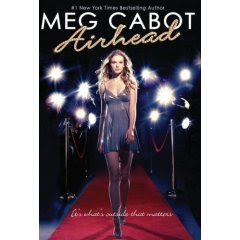 Reading Jinx and rereading The Mediator series over and over are no substitutes for another supernatural by Meg Cabot. Thanks goodness for amazon.com's Pre-Order button. Yet another one of those crazily hilarious installments of the Georgia Nicolson series. Pure fun and laughter, I can't wait to see what crazy escapades Georgia will get into next. Sequel to Wildwood Dancing, which although I have not read (yet), I am sure will be very good. 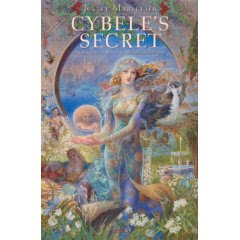 I read The Daughter of the Forest and its sequels which were excellent, so I have great faith in Juliet Marillier. A continuation in the tale of Beka Cooper, a Provost's Dog, or policewoman in the fantastical city of Corus, Tortall 200 years before Pierce's unforgettable The Song of the Lioness Quartet. 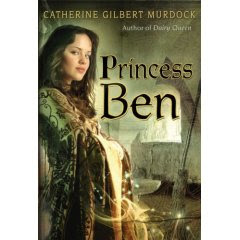 Pierce is truly a queen on the fantasy genre, and her writing just gets better and better. Sequel to Jaffe's hilarious first YA novel, Bad Kitty, which followed the misadventures of Jasmine and her friends as they tried to solve a mystery in Las Vegas without Jas's father finding out. Hopefully this one will be as packed full of fun, footnotes, and crazy stalkings. That's it for now, although I'm sure there will be many, many more. Thanks for riding it out with me this year, guys, and I hope to see you in 2008! I have many cool ideas for next year, so keep reading for their unveiling! Wow. These look really good. My list of books is getting longer and longer...! As usual now that I have read what's about to come out I cannot wait!! I don't want to wait for Stop in the Name of Pants!! I love Louise Rennison's work, she keeps me laughing through all of the novels...happy reading to everyone! !